Wilma J. Carr, 87, of Agar, died Sunday, Oct. 21, 2018 at the Avera Dougherty Hospice House, Sioux Falls. A memorial service was held Thursday, Oct. 25 at the United Methodist Church, Agar, with Pastor Jeff Adel presiding. Burial of her cremains followed in the Onida Cemetery. Wilma Crofutt was born Aug. 28, 1931 in Gettysburg, SD to Newell and Velva (Machan) Crofutt. She grew up in Gettysburg where she received her education, graduating from Gettysburg High School. On July 24, 1950 Wilma married Edward Carr of Agar. They made their home on the family farm where they raised their three children Nancy, Barb and Tim. Wilma worked alongside of Ed as well as with Ag Statistics and the Agar Post Office. She was active in the Agar Methodist Church where she held various positions in the UMC women and the council. She also gave her time to the county election board for several years, was a member of the Agar Extension Club, served as counselor at the Methodist Church Camp, was a 4-H leader and also volunteered whenever anyone in the community needed a hand. Wilma’s hobbies included crafts, reading, gardening, working in her flower beds, knitting, crocheting, and sewing. 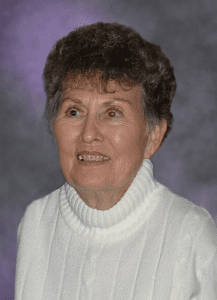 Wilma’s life will be cherished by husband of 68 years, Ed Carr, Avera Oahe Manor, Gettysburg; her children Nancy Prasek (CL Bass) of Spearfish, Tim (Pam) Carr and Barb Bryant, both of Sioux Falls; grandchildren Mathew Prasek, Seattle, WA, Megan (Chris) Lipp, Spearfish, Corey (Tiffany) Carr, Pierre, Dennis (Ken) Bryant, Lidgerwood, ND, Jessica (Justin) Ihnen, Sioux Falls, and Jennifer (Allen) Corbin, Sioux Falls; 12 great-grandchildren; and numerous nieces and nephews. She was preceded in death by her parents; sister, Elaine Porter; brother, Newell “Son” Crofutt; and four great-grandchildren.